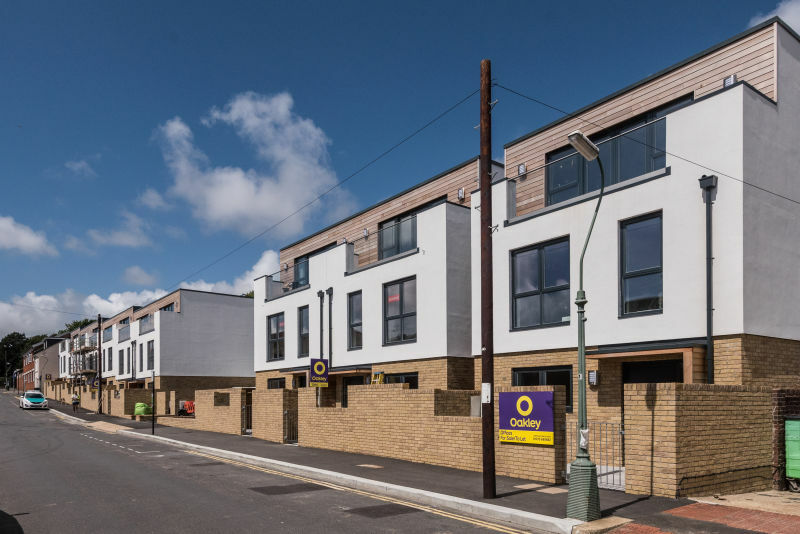 Following our open day launch in May of the fantastic family homes at the Kingsthorpe development in Hove, we are delighted to announce that the first new owner-occupiers have started to move in. At just 11 weeks after the show home launch, each one of the 9 homes in the new development is now sold. The houses demonstrate a stylish open-plan design that has been carefully constructed for sustainable, eco-friendly contemporary family living. Set over 3 floors, the luxury 3/4 bedroom houses consist of open-plan kitchen, living and dining areas flooded with natural light through clever use of internal doors and large patio doors leading to landscaped patio gardens. The top floor is entirely dedicated to the Master Suite with its own impressive en-suite bathroom, dressing area and south-facing terrace. We have had similar instant success with Providence Lofts in Brighton, with only 1 of 9 apartments remaining and are currently reserving off-plan for 1, 2 & 3 bedroom apartments and 3 bedroom houses at New Wave in Hove. In central Brighton we have two new developments, 1825 Residence and Lace House, both overlooking Old Steine Gardens & Victoria Fountain and offering a selection of 1, 2 & 3 bedroom apartments. Alongside the launch of Lace House this autumn, we shall also be launching two individual 2 bedroom houses close to Brighton Station, filled with the latest mod cons, finished to a high specification and with modern designer Italian furniture. At Oakley, we have vast experience in supporting developers with the sale of new homes and always have a number of new-build and newly-renovated properties within our Residential Sales department. Our Residential Sales Director James Epps is pleased to see the market thriving. “We are proud of the professional relationships that we have built with many prestigious national & local developers, including Greenrock Homes. Our area is a fantastic place to live, so it is always a pleasure to market new homes and to help buyers find very high-quality properties in the South East. We look forward to Greenrock Homes' next exciting new development of fourteen luxury 2, 3 & 4 bedroom family homes ideally located in central Haywards Heath." James comments. For further details or to register interest see www.vermontplace.co.uk. If you would like to work with our Professional Property Team, please get in touch.